For the edition of Locals Approved Packing Lists Olivia McCaskill, a resident Kiwi, has assisted in providing a reliable account of a locals view for a realistic backpacking New Zealand packing list. Olivia was born and raised in a small town in the Canterbury region of New Zealand, but has spent the last 5 years living in the beautiful capital of Wellington, she is due to travel Europe for 3 months this summer, exciting times! Olivia is a self-confessed photography, fashion, health and fitness fanatic and blogs at The Black Peony, where she shares cool anecdotes about her thoughts and life. Thank you for your helpful insight Olivia! I spent a quick 2 1/2 weeks backpacking New Zealand during my RTW trip in 2010. I was absolutely mesmerized by the country’s beauty and it is definitely a place I’d love to explore more fully one day. To maximize my short time, I jumped on one of their efficient and cost effective hop on hop off backpacking New Zealand tour buses and not only saw all the sights I wanted to see, I also had the chance to meet a great group of people. Having traveled in January, summer time, I must stress how essential my jeans were during this trip as well as a pair of cute flats. As Olivia recommends below, this is definitely a place where tourist clothes just don’t fly. Read below for great tips on backpacking New Zealand from The Black Peony’s Olivia beautifully compiled by TFG’s fashion blogger Chantelle Mallin. Enjoy! New Zealand is largely a relaxed place, so pack informally for comfort! Canterbury, in the south island, is quite casual regarding dress – jeans and a tank top for girls and jeans and a t-shirt for guys, even when backpacking New Zealand. The capital Wellington, on the North Island, has an awesome fashion scene with alternative and stylish wear, whereas in Christchurch, the largest city on the South Island, the scene is more conservative think cashmere and pearls. If hitting the town in a city, it’s expected that you wear something nice, although heels aren’t a necessity, guy should invest in a pair of dress shoes to wear out at night and a girl should have some nice flats. 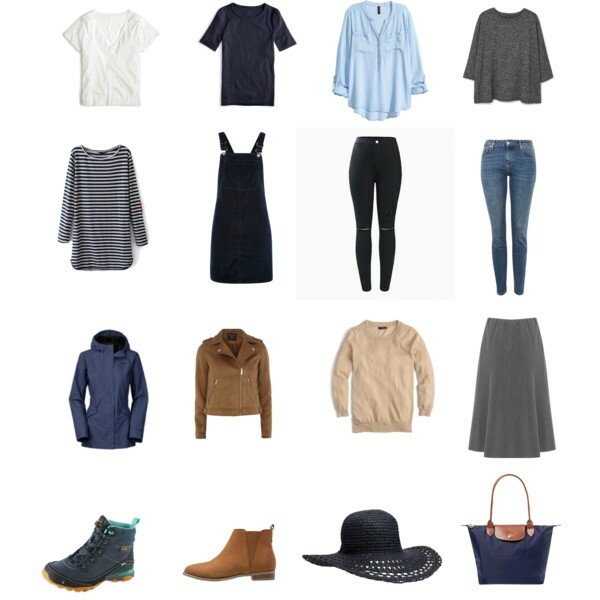 In the countryside the style is way more casual, its normal for farmers to hit the pub in ‘stubbies’ (farm shorts) and a checked top, be prepared to receive strange looks if you’re wearing anything too flash, tone it down and opt for simple jeans and layers, or shorts and skirts in the summer. New Zealand has a mostly pleasant climate as most the country lies close to the coast, great weather for experiencing all the country has to offer,as NZ is in the Southern Hemisphere, the temperature decreases as you travel south. This makes it great when you’re backpacking New Zealand. 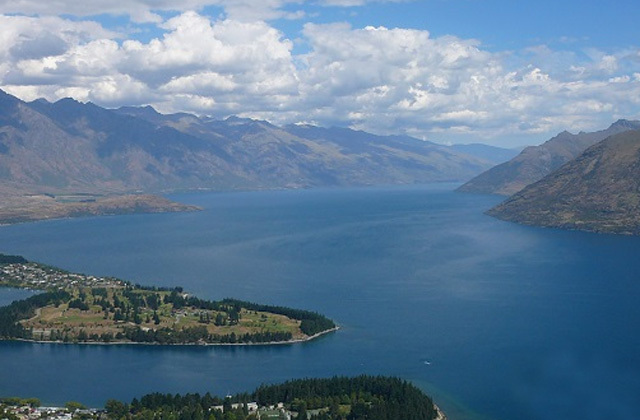 In the summer the average temperature ranges between 20 – 30ºC / 68F-86F and in winter between 10 – 15ºC / 50F-60F, however the inland alpine areas of the South Island can have temperatures as low as -10ºC / 14F. Olivia says: Mild and sunny – cool in the morning with warmer day. Night time is generally cool. In Wellington spring is when it gets very wet. Spring in New Zealand last between the months of September and November, the weather can range from cold and wet to warm and sunny, keep an eye on the weather forecast and try and pack for every outcome. When backpacing New Zealand, spring is the perfect time to check out one of New Zealand’s historic blossom festivals, if sports are more your bag it’s a great season to hit the slopes and the waterways. The best advice for backpacking New Zealand in the spring season would be to layer. 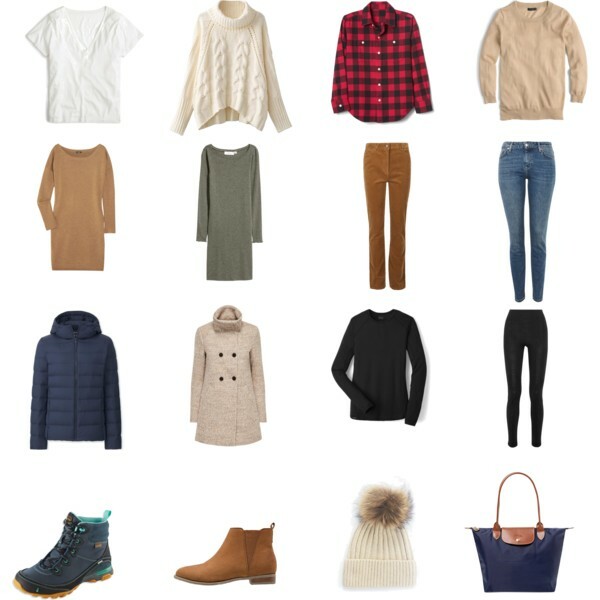 Clothes can be added and removed depending on what the weather brings, jeans are a good choice, pair with a nice blouse or t-shirt add a denim jacket and cotton scarf to finish the look. If you’re planning on hitting the town pack a cute skater dress, wear with opaque tights and a cardigan or pashmina in case the weather drops cool. Shoe wise, stick with a pair of printed ballet flats or brogues due to the impulsiveness of the weather; pack a pair of closed toe leather sandals just in case the temperature picks up. Accessories your wardrobe with a pair of cat eye sunglasses to protect your eyes for NZ strong sun glares. Don’t forget a colorful raincoat, spring can get wet! Here’s the most cute and comfortable ballet flats for travel! Olivia says: It can get very hot in summer – up to 40+ degrees in the South Island, 30 degrees in Wellington. But it has also been known to get very cold. When a Southerly rolls in expect the temperature to plummet 10+degrees. The summer season last between the months of December to February bringing high temperatures (20 – 30 degrees) and lots of sunshine, NZ in the summer can get hot! The days are long and sunny, so when backpacking New Zealand, take advantage of the beautiful weather by packing fittingly, include a cool pair of distressed denim shorts and a light maxi skirt for on the bottom and loose t-shirts, tank tops and sleeveless blouses for on top. Here are some gorgeous outfits on what to wear for a beach resort vacation! Add a pretty printed tea dress to complete you’re travel wardrobe. Jandals (flip flops) and sandals are the perfect shoe choice, choose a natural colour palette so you can easily mix and match with your outfit choices. Don’t forget to pack a printed bikini or swimsuit, summer is an excellent time for backpacking New Zealand, whether its visiting one of the beautiful beaches – ideal for swimming, sunbathing, boating and water sports in areas like the Bay of Islands or walking in the bush the country has plenty of outdoor activities on offer. Accessories your summer wardrobe with a floppy sunhat, a pair of sunnies and some high SPF – the midday heat UV radiation is extreme. It is known to drop cool in the summer when a ‘southerly rolls in’ – a front of air coming from the south, pack a thin jumper, palazzo pants and light jacket for if this occurs or for if the weather drops chillier at night. Olivia says:Much cooler – it’s crisp and cool in the mornings with it getting warmer later in the day. As soon as the sun goes down it gets chilly. The autumn season last between the months of March to May, the weather is still quite pleasant, even though the temperature does start to cool, many regions in NZ are known for their ‘autumn splendour’ including Central Otago and Hawke’s Bay. When backpacking New Zealand, suitable fall clothing include light trousers, such as capris or palazzo pants, or longer shorts, pair these with neutral coloured t-shirts and light jersey long sleeved tops, if you want to include a dress go for a wool fabric and pair with tights, the temperature can cool at night so pack a cute jumper and a warmer jacket such as a leather or military cape. Coming up to the winter season the temperature will be slowly dropping, pack a scarf and felt fedora to protect yourself from the elements. Think of spring and layer, that way you can add and take off clothing depending on the weather. In the autumn, New Zealand’s summer crowds have started to scatter, the season becomes a great time to hike the great walks and bike some of the many cycling tracks. When backpacking New Zealand in fall, pack a pair of leather boots or hiking shoes to enjoy these experiences to their fullest. It also a great season to taste some great produce at the countries various food markets and vineyards. Ankle boots are so versatile, you can’t go wrong with them! Here are the best ankle boots for fall! 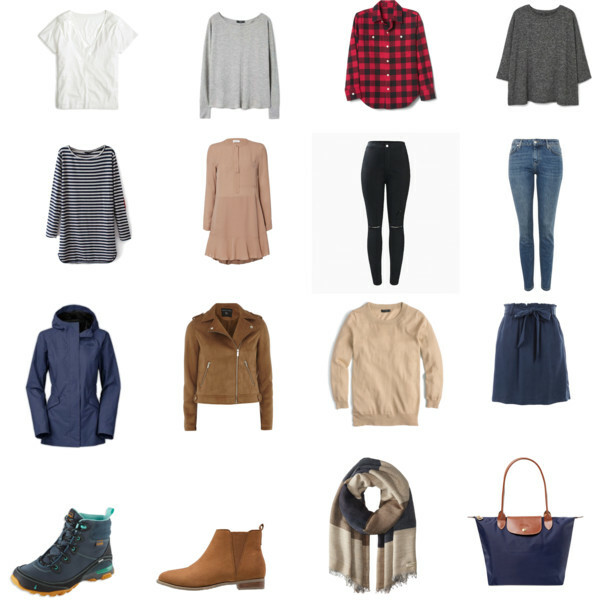 Basically, try and wear as many clothes as possible when backpacking New Zealand in winter. No one judges fashion when you’re cold. Remember that New Zealand’s winter is North America and Europe’s summer. Be prepared! The winter months of June, July and August bring cool and colder weather to a lot of the country (between 5 and 15 degrees), the North Island can get really wet too, so it’s a definite that you pack with warmth in mind. For backpacking New Zealand, pack items that will keep you snug and warm, opt for waterproof winter coats and thick merino jumpers, stick to long sleeved jersey and include a printed shirt to add a bit off colour to your travel wardrobe. Stick to fabrics such as wool, fleece and polyester, they’ll keep you snug, retain warm air and release moisture keeping you insanely warm and dry. Accessories with a classic wool beanie, scarf, gloves and fleece lined boots and don’t forget to layer to keep warm. The winter season sees a lot of snow so if the perfect time to visit glaciers, mountains and other areas of picturesque beauty, in the West Coast there are several spots to enjoy a relaxing soak in a hot pool, escape the chilly weather and check Glacier Hot Pools in Franz Josef. Find out the most stylish and best down jacket options for your cold weather travels! New Zealand’s weather can be quite temperamental; it is often described as having ‘four seasons in one day’, it can change unexpectedly so be prepared for the sudden change in temperature. For the summer pack a light jacket or pashmina shawl in case the weather does turn cool, rain is expected so include a waterproof jacket – leave the umbrella home if visiting Wellington, it’s guaranteed to break. NZ has some of the harshest UV rays in the world so don’t forget a cute pair of sunnies, a sunhat and plenty of sunscreen! If visiting in the winter months, pack clothing that will keep you nice and warm – don’t forget to layer! Make sure you pack a swimming suit, hiking boots and trekking gear, the country is notorious for its outdoor activities and you’ll not want to miss out. New Zealand is the country of extremes so try to bring clothing to cover all seasons and weather conditions. Glassons – NZ’s most visited women’s fashion store known for its fast fashion, vibrant stores and ‘winning’ value, check it out at Glassons. Hallensteins – Is NZ’s icon menswear store, owned by the same company at Glassons, it is recognised for its ‘fashion and value equation’, Hallensteins stores are located around most metropolitan areas throughout the country, check it out at Hallensteins. Cotton On – Is great for both guys and girls, Cotton On is a ‘cheap and cheerful’ Australian retail chain offering on trend fashion at affordable prices, check it out at Cotton On. Based in Auckland, Cybele is considered one of NZ’s foremost fashion brands, the garments are timeless and feminine yet have a bold directional edge, the collections are recognisable by their distinctive custom prints and patterns and used of innovative cuts. The brand is available throughout boutiques in New Zealand. If you’re after a unique find or vintage is more your thing pay a visit to Vintage Heaven specialising in a wide range of retro and vintage inspired clothing and accessories located at 253 Wakefield Street, Wellington 6011. Olivia says: There can definitely be four seasons in one day, and it can snow, be sunny, windy and rainy all in the span of a couple of hours. But there are definitely days where it can be super calm and sunny and warm! The number one tip when visiting New Zealand is to always check the weather – it can change pretty quickly so it’s best to be prepared. Thermal Explorer Highway – Experience earth forces on a road that leads to volcanoes, ancient caves and bubbling mud pools. Surf Highway 45 – Taking you from surf to summit -check out the cool surf between New Plymouth and Hawera, the track will also take you buy Egmont National Park and the magnificent Mount Taranaki. Transportation – If you’ve got limited time, book a hop on, hop off tour bus. You can get a pass upon arrival at one of the hostels. I used and recommend the Magic bus but you can also use Stray (25+) and Kiwi Experience (18+). Accommodation: It’s always a good idea to book the first few days of accommodation before arriving to your first destination using a booking source like Hostelworld . Once you get there, it’s easy to book hostels as you go along. Many of the hostels found here are flashpacker style and are very modern with wifi access, kitchens, laundry facilities, and some even offer free meals! Itinerary: It’s recommended to fly in and fly out of different destinations if you want to travel both islands. For example, fly in Auckland and out of Christchurch. This will maximize your time and money! If you want to add tours to your trip, you can use companies such as My Adventure Store tours. What do you recommend when backpacking New Zealand? Please comment below! What to Pack for the Great Barrier Reef? I hope you liked these tips on backpacking New Zealand. Please share with your friends on Facebook, Twitter, or Pinterest. Thanks for reading! Ooh, thanks for this list! I can’t wait to go for three weeks in April! I was hoping to just take my Osprey Daylite+ with me for all my luggage but the hand baggage is quite restrictive for my flights from the UK (7kg and no personal item!). Luckily I’m only petite so my clothes are light and fold up small and I plan to pack in layers. I’ve already done a couple of practise packs and I’ve still got just under 2kg to play with and that’s with my Macbook Air inside my bag. Would a pea coat or similar be a bit much for that time of year? Hi Catherine, sounds like you’ve done a great job packing! April is the end of summer there so it might start to cool down depending on where you’re traveling. Make sure to check the weather forecast before you go! I traveled to NZ about 15 years ago with a buddy of mine after researching our trip for approx a year. We decided to fly into Auckland and then, fly back out of Christchurch. We spent one week on the north island and two on the south. We discovered several towns with unique characteristics we were not expecting. Akaroa was originally settled by the French and the residents of the city have maintained their French heritage by continuing to speak French, the restaurants serve French food, etc. The same is true in Dunedin; it was originally settled by people from Scotland and they are very proud to honor their ancestors. Finally, Christchurch was settled by the British. Each of these unique cities make you feel as if you are visiting cities in Europe due to their festivals, architecture, customs, dress, food and the special attention the attention local inhabitants pay to preserving the flavor of their parent countries. We really preferred the south island because of the following: the wineries, the many unspoiled, white sand covered beaches you had all to yourself, the fjords with 1,000 foot vertical walls at Milford Sound, the spectacular glaciers on the west coast and last, but definitely not least…the penguin colonies. The little guys waddling home from a day of fishing for the family was a real “hoot” as they all gathered to cross the highway together and then, each one split up to go home to find their spouse and kiddo. I highly recommend everyone spending time visiting a penguin colony in the Dunedin area on the southeast coast. It is quite a treat and NZ is one of the few places in the world where you can view them in their home habitat. I plan to move to NZ soon once I retire as a result of my previous vacation trip. You WILL have a great trip IF you plan ahead and do adequate research before making the jaunt. Just came back from two weeks of travelling the North Island. Although some places were very hot (Napier! 32°C), Wellington turned out to be relatively chilly, at which point I was very happy with my jeans and layering options. Loved it and definitely planning on going back some day to travel the South Island as well. Alex, even through I have never met you, you are my internet best friend. I am beyond excited to have found your blog! Having just read your article on NZ with the help of your kiwi friend, I am feeling so much more confident about planning my trip next year. Its been a dream of mine to go to NZ, amongst other places, but Ive been stressing about traveling solo, plus i’ve never left the US. Ive been doubting my abilities to find my way and get from place to place, being I want to see the both islands. These insights, including what to pack, is helpful and makes me think I can totally do it. Any other top of your head advice you can give on traveling alone for the first time? Im 26 and like to do things alone, but Im stuck in my head at this point. Regarding the winter temperatures in Wellington, I’m sorry to say that this is quite misleading. I lived in Wellington for 20 years and can only remember one day when it was 30C. February is the warmest month in New Zealand. If you are from a warmer climate, note that even as late as November it can be quite cold (12-15C). Good to know. Thanks for your feedback Julie! Im so happy I came across your site 🙂 Im going to be in NZ in November, and Im debating on what I need to bring. I think NZ spring weather is my winter lol. My friends and I are going to be doing a lot of day hikes – 2 day hikes. We are going to try to get to both islands and I was wondering if wearing leggings will be warm enough to hike in NZ, or should I get something warmer? Can/should I pack shorts? Also are leggings and a shirt with flats ok to wear into town? Sorry for the many questions, I live in a desert. As for dressing up, around town leggings and a cute shirt with flats sounds good but for the bigger cities like Auckland and Christchurch you might need a dressier outfit or maybe dress up a casual outfit with jewelry and makeup. I ended up buying heels and a dress while I was there because I like going out at night but it just depends on what you like to do at night too. 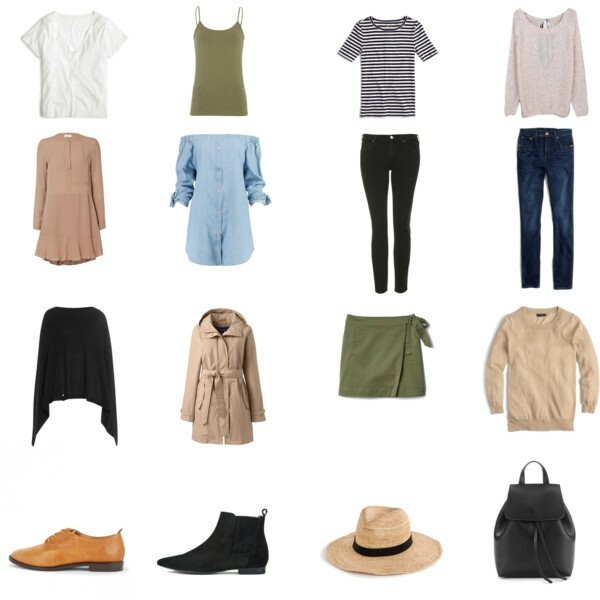 I’m so glad to see you blog about New Zealand packing list! I am ready to travel New Zealand on 2nd June 2015! I am a little bit of confusing what to pack in my luggage. It is Winter and will travel to Christchurch, Dunedin, Auckland. If it is possible for you to give me some opinion? I will be much appreciated!! Hi Joey, June in New Zealand is Winter so it will be moderate to cold climate. The best idea would be to check with weather.com or BBC Weather closer to your trip. Hope this helps!